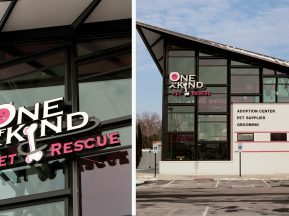 Al Neyer Architects and the City of Middletown worked together to win an Ohio Job Ready Sites program grant of $2.1 million to jump-start development of “smart” multi-tenant office space to attract like-minded companies to the area. The East Pointe multi-tenant office center earned LEED-certification, and it is the first of several new “smart” developments slated for the area. Due to a successful partnership on the Linden Pointe in the Lateral corporate office complex, Al Neyer Architects called on ASI to consult on an interior signage solution for the new East Pointe facility. 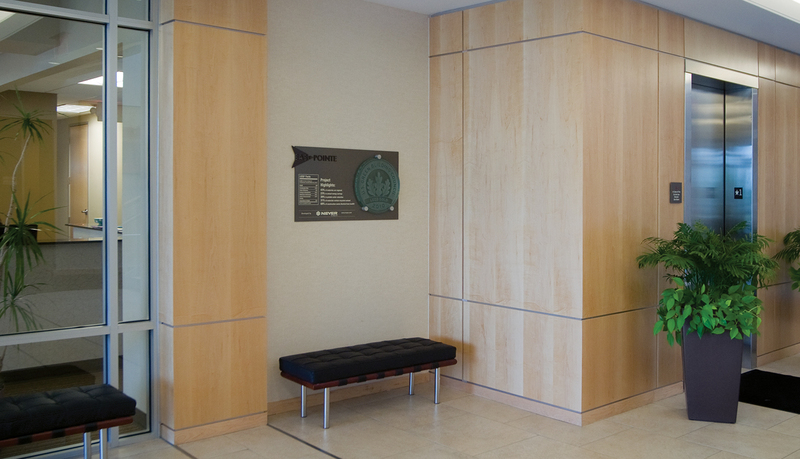 ASI fabricated and installed the complete custom interior signage solution for East Pointe, including a LEED education signage that helped East Pointe earn one full credit toward LEED certification. 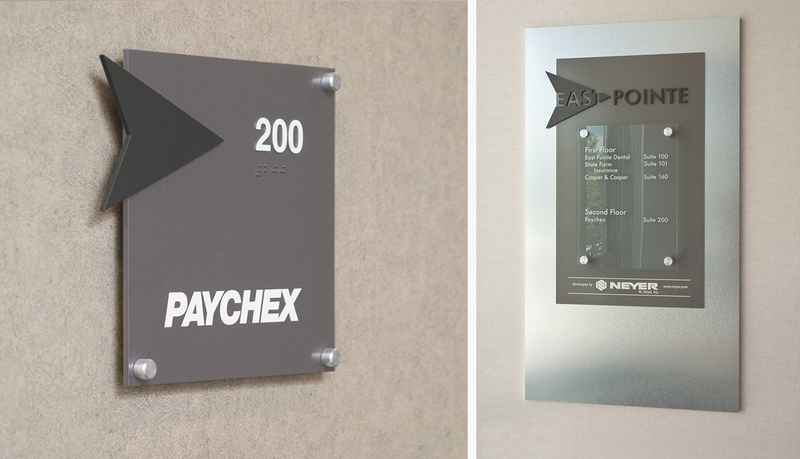 To complement the interior design and to emulate the East Pointe brand identity, the interior signage solution uses muted deep brown tones, polished silver aluminum decorative stand-off fasteners and a surface layer dimensional arrow icon on each sign. 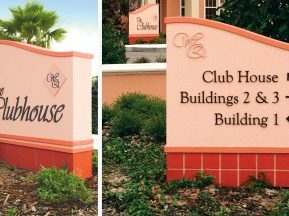 The complete interior solution includes ADA-Ready™ signs, directories and tenant identification signs. 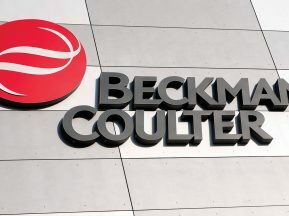 By using decorative stand-off fasteners, the facility management staff can make easy updates to tenant ID signs by simply switching out the panels. The LEED education sign, located inside the main lobby area, features project highlights with a percentage breakdown of each sustainable effort based on the LEED categories. 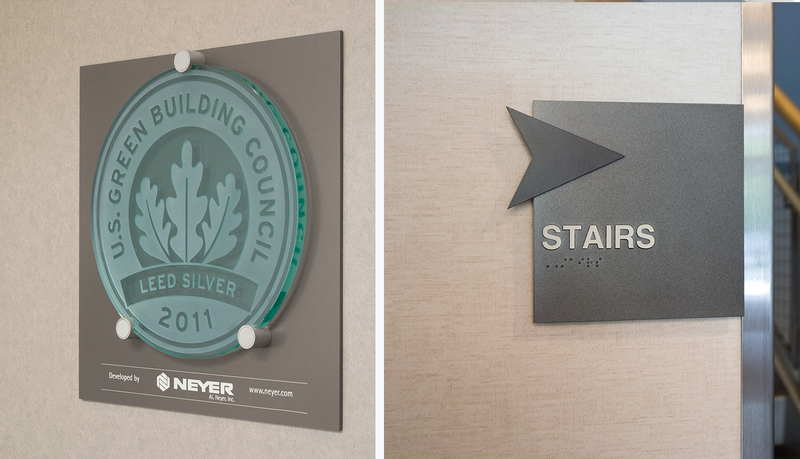 In addition, ASI incorporated a glass panel featuring the official USGBC LEED Gold Level Certification seal. 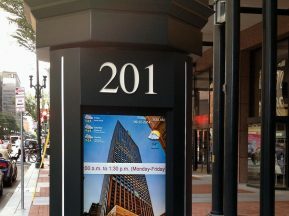 The LEED education signage, as well as the two main directories, include a custom routed East Pointe logo and lettering. 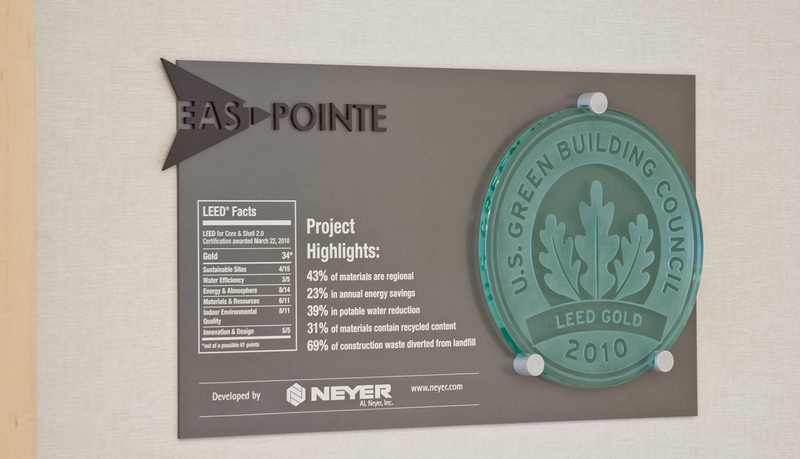 The complete interior signage solution effectively guides visitors and staff, complements the architectural environment and helps educate visitors about the sustainable building efforts and accomplishments of East Pointe.